There are no shortages of extra money ideas you can do from home. And while it’s great to have so many ways to make money in a pinch, it can also get a little overwhelming. Where do you actually begin? 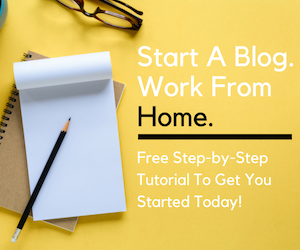 You’ve probably heard that blogging is a great way to make money online or have come across several part-time home-based jobs. But these opportunities, while awesome in their own right, take up a lot of time and require a huge commitment. But don’t worry! You don’t have to spend tons of time, energy or effort to make extra money online. With these 15 extra money ideas you can easily add to your income each month. This is one of my favorite, if not the favorite, of all the extra money ideas out there. As a user tester, you get paid to perform tasks while visiting a website or using an app. It’s really that simple. There are a number of companies that actively hire usability testers. Although each company is a bit different, you can expect an average test to last about 10-20 minutes and pay between $8-$15. My personal favorite usability testing company is User Testing. I’ve been a tester for several years and can make a couple hundred dollars each month. All you have to do is sign up and complete a practice test to be accepted. From there, you can start taking paid tests. You don’t have to start a freelance writing career to make extra money as a writer. If you sign up at a so-called content mill, like Textbroker, you can get paid to write short and simple articles — some assignments may be just 50 words and can be done in just a matter of minutes. Granted, you won’t make a lot of money per article but as far as extra money ideas, this one is pretty simple. Plus, there’s usually plenty of work to go around. So, when you’re in a tight spot, you can usually turn to writing to make a quick buck. Another bonus is that content mills often pay quickly — usually within a week. In those months that you need money, like yesterday, it’s nice to have accounts at different content mills to get cash fast. If you spend any amount of time online, you’ve probably made your way through a forum or two. You may even be a regular contributor on a couple of your favorites. But did you know you can actually get paid to post on forums? When someone starts a blog, message board or forum, it can be a little slow going at first. That’s where you come in. New forums will actually pay users to visit their sites and start discussions. This gives the illusion of activity and encourages organic participation. Getting started is super simple. Just head over to one of the companies that hires paid forum participants, sign up, complete some sample posts, and you can start getting paid to post! One of the most fun (and super easy!) extra money ideas I know of can be found over at Slice the Pie where you can get paid to review music. All you have to do is listen to at least 90 seconds of a song and then write an honest review. I love using Slice the Pie to make a little extra cash here and there. It’s an especially useful site for those nights you’re bored or when you just have a few minutes to spare. Not all survey sites are created equal. If you want to actually be paid with cash rather than points, then sign up at Vindale Research. At Vindale, there are a number of ways to earn extra money. Reading emails, testing products, and participating in market research studies are just a few of the ways to rack up payouts quickly. Plus, you can also earn $5 for each friend you refer to Vindale — and those referrals can add up fast! As far as extra money ideas, Vindale is known for their readily available surveys and higher-than-average pay-rate per survey.There’s also plenty of ways to earn bonus payments — even get an extra $2 after you sign up and complete your profile — how’s that for easy? 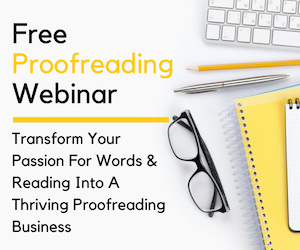 You don’t need a ton of experience to make extra money from home as a transcriptionist. In fact, quite a few transcription companies will hire candidates with no prior experience. Keep in mind, transcribing isn’t for everyone. However, if you’ve got a good command of English (including grammar and spelling) and can type reasonably fast, transcribing may be worth exploring. There’s plenty of work out there and it’s usually pretty flexible, too. 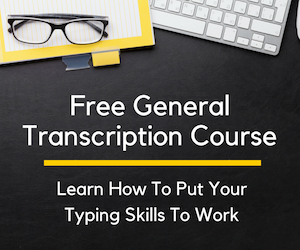 Although transcribing is one of the most available extra money ideas out there, many people earn a full-time living as a typist. Businesses want to know they are providing exceptional customer service and are not missing any sales opportunities (when appropriate). They also like to keep tabs on things like how long callers are on hold and if a question/concern was resolved. That’s where you can come in. Two companies, Humanatic and Reynolds and Reynolds frequently bring on call reviewers. You listen to calls and score them based on a number of criteria. That’s it. If you’re looking for temporary extra money ideas, search engine evaluation might be perfect for you. As contract positions, they usually last just a few months. However, if you perform well, you may be given additional contracts. You can earn up to $15 an hour when you work from home as a search engine evaluator. So, it’s definitely one of the better paying ways to earn extra money from home. Some projects you might expect to work on involve improving Google and Bing search results. Sometimes you may be asked to work on social media or ad evaluation projects, too. When’s the last time someone paid you to make a phone call? If you become a telephone mystery shopper, you can make as much as $5 for each call you place! This is one of the simplest extra money ideas. Sign up as a mystery shopper at Call Center QA, complete shops, and earn five bucks. That’s it. This is a great way to make extra money — but some phone mystery shoppers claim to make as much as $90 per day making phone calls. I’ve turned to Fancy Hands before to make extra money online. In fact, I was able to make a part-time income just by completing small tasks at Fancy Hands! But if you’re just looking for extra money ideas, you could certainly use Fancy Hands to make a little extra here and there. It’s basically a crowdsourced virtual assistant company. You can complete 15-20 minute tasks and earn anywhere from $3.oo to $7.00 for each. There’s a short application process. But once you get approved, you can immediately start earning. What I love most about Fancy Hands is the fact you can login in 24/7 and almost always find work available. So, if you have an unconventional schedule or just happen to be a night owl looking to make an extra buck, Fancy Hands is a great place to find work. I know a lot of people like the idea of working from home as a chat agent. But these positions aren’t always flexible, extra money-makers. Instead, you’re expected to work a set shift that ties you down to your computer. However, if you become a Brand Advocate for Needle, you get to set your own schedule as a chat agent. Needle partners with several internet retailers. As a Brand Advocate, you’ll help shoppers find the perfect product on these sites. It only takes 10-15 minutes to apply. Needle reviews your profile and will approve you if you seem like a good fit. Then you’ll earn cash as well as points just by chatting online with customers! REV is a translation, transcription and captioning company. They have plenty of work available for freelancers looking to make extra money. One of their most popular and readily available extra money ideas is video captioning. As a captioner, you watch videos and type what’s being said. Afterwards, you’ll need to sync the captions to the audio so the right words appear on the screen at the right time. It takes a little practice at first, but once you get a feel for it, it’s quite easy work. Payments are made weekly through PayPal. The average captioner at REV makes $240 a month. The highest earners take home more than $1,500 monthly — not too bad for an extra money idea! When you only have a few minutes to spare, micro jobs and short task sites can be the perfect place to make some money. You never know what you may come across but some common tasks on these popular sites include image tagging, description writing, and internet research. The largest micro jobs platform is Amazon’s Mechanical Turk. There are usually thousands of HITs (human intelligence tasks) posted here at any given time. While Mechanical Turk is a great source of extra money tasks, some people have figured out how to make much more and actually earn a decent amount each day. A lot of people want to earn a living from home doing data entry. But the truth is, there’s not a whole lot of (legitimate) opportunities out there. However, if you’d like to make a few bucks here and there, you can find data entry work. One of the easiest ways to get started is by joining The Smart Crowd. The Smart Crowd has a number of different tasks available you can complete. But the most popular of their extra money ideas is data entry. There’s not always a lot of work available. And when there is, don’t expect to make a ton in one sitting. But if you make it a habit to login and work when you have a free minute, you can definitely build up your account! You don’t need previous teaching experience or any kind of certification to teach English online at Cambly. What you do need is patience, good speaking skills and a webcam. This is very flexible work that can earn you as much as $10.20 per hour just for having a conversation with someone. As a conversational English tutor at Cambly, you can sign up for shifts or login whenever you have free time. When a student wants to speak with someone, the “tutoring dashboard” will ring. If you want to work, you can answer. If not, no big deal. Thanks to all these different sites, it’s never been easier to make extra money from home. 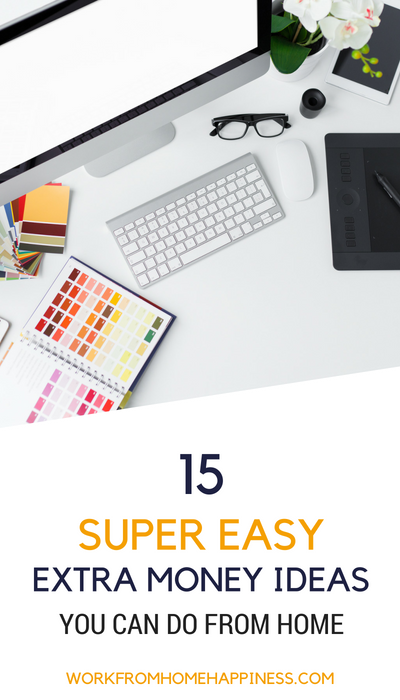 If you’re looking for a little more, check out this list of 40+ Ways to Earn Extra Money from Home from the Work at Home Woman — there’s a lot of great ideas for earning for doing things you probably already do online like shopping, surveys, and video watching. Don’t forget to ‘like’ Work from Home Happiness on Facebook for your daily dose of extra money-making ideas! Know of an easy way to earn from home? Share your thoughts in the comments below. If you have any questions, please feel free to contact me at ashlee(at)workfromhomehappines(dot)com. Psst: This post contains affiliate links. Check out my disclosure statement to learn more! Thanks for putting this list together for us. It goes to show there are plenty of ways to make some extra money and do it from the comfort of our own home. You’ve shared some new ones for me too…the music reviewing sounds interesting. You know I’m passing this along. Have a great week! I love you sooooooo much! Thank you. #5 was a complete waste of time for me. Wouldn’t recommend to anyone. I love it…really useful information. Thank you very much. I know that Rev seems to be on everyone’s work from home list, but you MUST have the right expectations when signing up for captioning with them or you will be severely disappointed. There is a two-step qualification test for the interview process, where you are asked to caption and sync words to a couple of short videos. It’s pretty easy to get the hang of it, but it will require a decent amount of uninterrupted time. Here’s where it gets hard: the jobs that are available to the newbies are often VERY difficult to understand and caption, and require listening to the same video segments countless times until you think you have all of the words correct and then syncing the words perfectly with the speaker, which also takes a long time. I have come across videos where there are multiple speakers that are never seen and it’s incredibly difficult to even hear what they’re saying most of the time. You might make $3.50 for a six minute video that you have just spent two hours working on–Ie: $1.75/hour. I have heard that once you reach Revver status (80 minutes of near perfect captioning), you have access to much better quality videos, which would most likely yield better pay and faster completion. I’m not saying don’t do this, but just know what you’re in for and how much time you’re willing to invest for the amount of pay.